Alison Hendricks is a new-to-me author, and my introduction to her writing came by way of her Gaymer Guys series starter, Rivals. Whatever expectations I had of this book were knocked aside because I was left more than impressed while I was reading and way after I had turned my tablet off. You don't have to be a fan of competitive gaming to fall in love with this enemies-to-lovers story. Heck, my own experience with gaming is limited to years of playing everything from Game and Watch and Atari to the Nintendo Family Computer, Sega, and first Playstation. Nowadays, it's all about games I can play on Facebook or on my tablet or mobile phone. So, I may not have firsthand experience with competitive gaming and I've only seen tournaments shown on television, but those combined with the addictive and competitive nature of playing games in general were enough for me to have a good idea of what life was like for the cast of characters here. 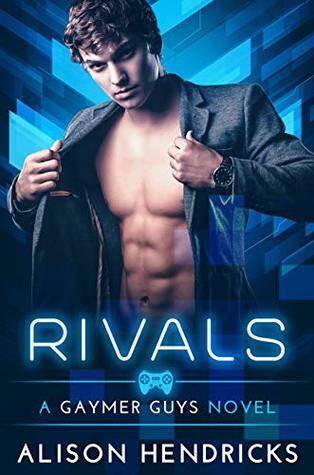 And if you simply like reading M/M romance, then I hope you give this one a whirl because it's easily become one of my favorites and Hendricks a must-watch author. Learn more about Alison Hendricks.